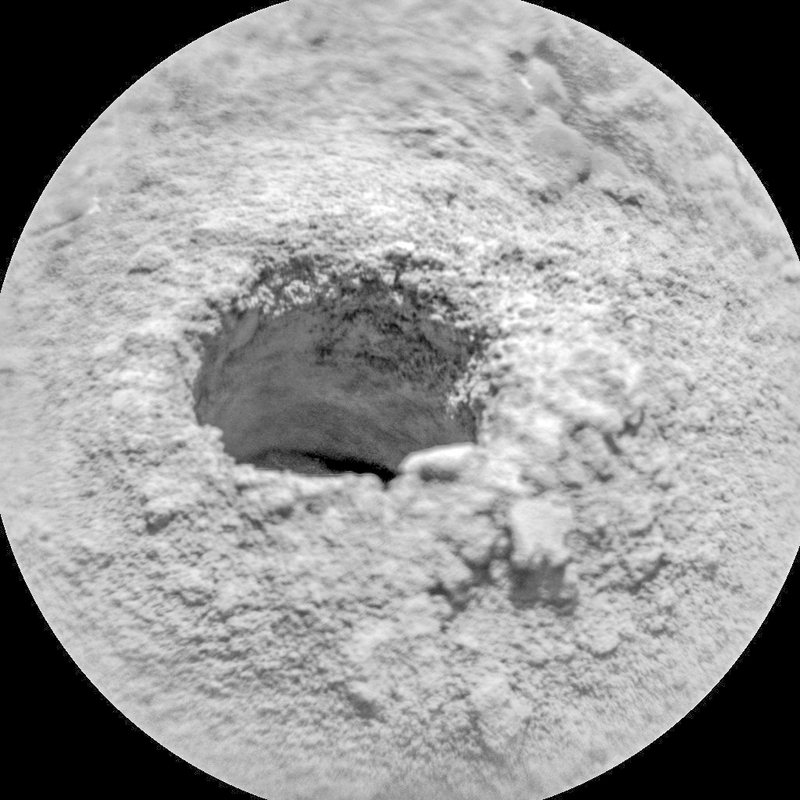 Sol 2263, December 18, 2018, update by MSL scientist Dawn Sumner: At the end of last week, the team made the call to drill the rock “Rock Hall,” and Curiosity had no problems drilling the target. The science team had been worried that this rock type, red Jura, might be particularly hard based on the observation that it commonly caps the highs on Vera Rubin Ridge. However, the drill reached its full commanded depth on our first attempt, and we are celebrating! This entry was posted in Reports and tagged Aeolis Mons, Arnage, Curiosity, Gale Crater, Jura, Lairig Ghru, Mars Science Laboratory, Mount Sharp, MSL, Murray Formation, NASA, Rock Hall, Vera Rubin Ridge. Bookmark the permalink.